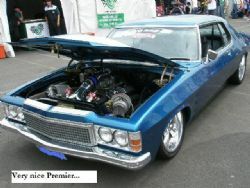 Second stop on my calendar for Sunday 2nd November was Australia's biggest one Day "N” Night Motorsport and Custom Car Show event, the 14th Street Machine Magazine Supernats at Western Sydney International Dragway. 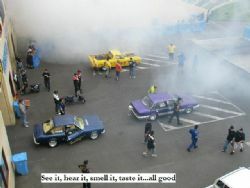 The event offers a chance for drag racing in a controlled environment and is sanctioned by ANDRA. Touted as a horsepower party with expectations of attracting thousands of car enthusiasts the event was living up to its reputation as the largest motor sport event in Sydney. 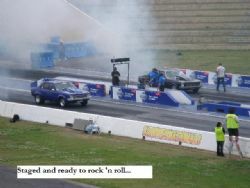 If it goes like stink and is ear piercing loud chances are it got launched down the track. 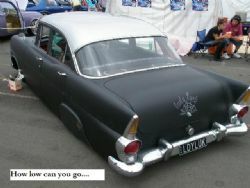 The field was made up of six to seven second race cars, street machines, muscle cars and rotary imports. Included in the festivities on the day are burnouts, a wheel stand competition, Go-To-Whoa, super cruise and Show ’N’ Go and the Pro Street Shoot Out including The Supercharged Outlaws. There was serious money on offer for the winners and plenty of tough competitors making sure you earnt every cent. Competitors came from all over NSW and interstate to test their machines and skill against the clock and others in their class. Blessed by a cool day with grey drab skies the crowd built as the day progressed. The early qualifying runs offered plenty of excitement for the spectators as entrants looked to post good times and were not holding back. Some owners whose cars imploded early in the piece would have been bitterly disappointed and there were a couple of times the track needed to be cleared of debris and oil after something let go. During the time I was there the purple Capri that lost it on launch, did a full 360 and hit the wall left the most amount of work for the crew track side to clean up. Away from the track there was plenty to see and do. Babes, glitz, bling and glamour were on show along with low riders, street and classic cars, bikes and plenty of vendors with an assortment of clothing, accessories and goodies on sale. The underlying theme here was performance and in the pit area you could tell by the amount of professional trailers, teams, equipment and gear they were here for one reason only – to win. The only thing that could be better with this event is the track could do with a technology upgrade. A screen at the end of the quarter mile showing the pass times would be appreciated by the spectators as the presenter on the PA system who was calling the times was normally drowned out by the next two cars doing burnouts in preparation for their run. Sadly, I had other commitments and had to leave well before the finals were run and the anticipated evening finish. As I drove away from Eastern Creek there were plenty of people still heading to Supernats to enjoy the action and next time I will be staying till stumps. The organisers put on a good show, well run, no hassles and attracted an outstanding array of high performance machines.